There is always something new to read about alcohol and the effects it has on us. The dominant narrative concerns the necessity to drink in moderation and never to drink and drive. 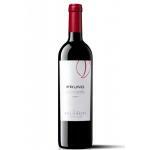 Naturally, Uvinum wholeheartedly supports prevention messages from health campaigns. Nonetheless, recent studies shed a positive light on a moderate consumption of alcohol. The benefits of the Mediterranean diet have long been demonstrated by scientists, so we are not going to dwell on those. Instead, we discovered five studies proving that alcohol can enhance your skills. Last December, The Times published the results of a study by Professor David Nutt which declared that six glasses significantly improved your score at an Xbox dancing game. This corresponds to about one bottle of wine. However, it appears that this new-gained skill disappears beyond six drinks. According to a study published in the Journal of Psychopharmacology and conducted by the universities of the King’s College, Liverpool and Maastricht, one glass of alcohol has a positive impact on self-rated and observer-rated language performance. So, next time you go on holiday on a Spanish or Italian wine route, don’t hesitate to drink some wine to talk with locals. A new study by Professor Jennifer Wiley of the University of Illinois seems to prove that two glasses of wine or beer make you better and faster at brain teasers than if you were sober. Though, it might be worth pointing out that this effect is limited as alcohol enhances the creativity with which you can tackle a problem but your analytical skills dwindle. The Institute of Science in Israel proved in a study that two glasses of alcohol for women and three for men can improve our olfactory performances. In other words, we identify various odour when slightly inebriated. Although, just as with the other skills, this advantage disappears beyond a moderate consumption. 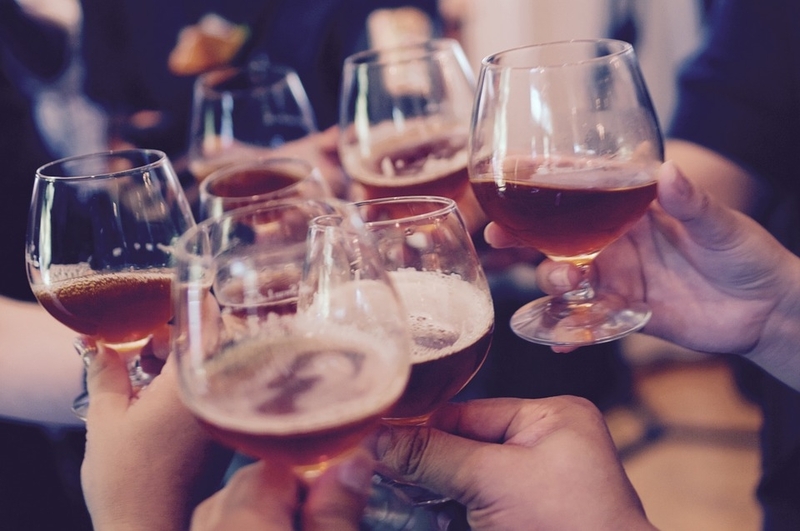 According to an article published in Psychological Science, having a few drinks can potentially improve your social skills. Alcohol seems to facilitate involvement in discussions and to make you smile more, thereby easing social bonding. However, shots of vodka will not replace healthy relationships. 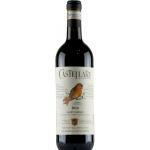 Castellare Di Castellina Chianti Classico 2015, a red wine from Chianti Classico based on the best sangiovese and canaiolo from 2015. 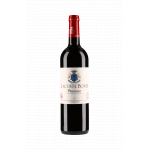 Château Grand Puy Lacoste Lacoste Borie 2015, a red wine from Pauillac that contains grapes of 2015. This week, we officially survived the so-called Blue Monday, the infamous “most depressing day of the year”. However, winter is here to stay, and every one of us could use some comfort food after spending the day fighting off polar winds, enduring dark afternoons and surviving icy rains. This is where our “ameliorated” hot cup of chocolate come into play. 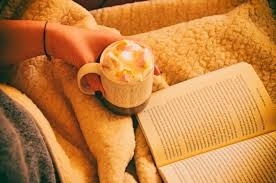 To start this list, I suggest a delicious caramelised hot chocolate. Its sweet flavours will make you forget about the long day you just had. Just sit down and relax. Achieving the caramel flavour is the tricky part. The easiest way is to use flavoured vodka, liquor or cream. Alternatively, combine dark rum and caramel syrup for a more intense taste. After pouring the milk and cocoa powder into the pot, bring to a simmer. Make sure the ingredients are perfectly mixed. Add the syrup and the alcohol. Top it off with whipped cream. Hot tip: add some toffee or hazelnut sprinkles on the whipped cream for a gourmet hot chocolate! This refreshing hot chocolate will make you want to live in winter for the whole year just to have the excuse of the cold to drink it again and again. This the perfect warm drink for your Sunday morning to enjoy on the sofa before starting the day. For the peppermint taste, you can use fruit liquor, herbal liquor or cream. Place the milk and cocoa powder in the pot, then, bring to a simmer and mix. We recommend replacing the cocoa powder with melted bitter chocolate. Add the mint schnapps and whipped cream. Your hot chocolate is now waiting for you! Hot tip: To boost the mint taste of your preparation use some crushed mint candy or fresh mint leaves. 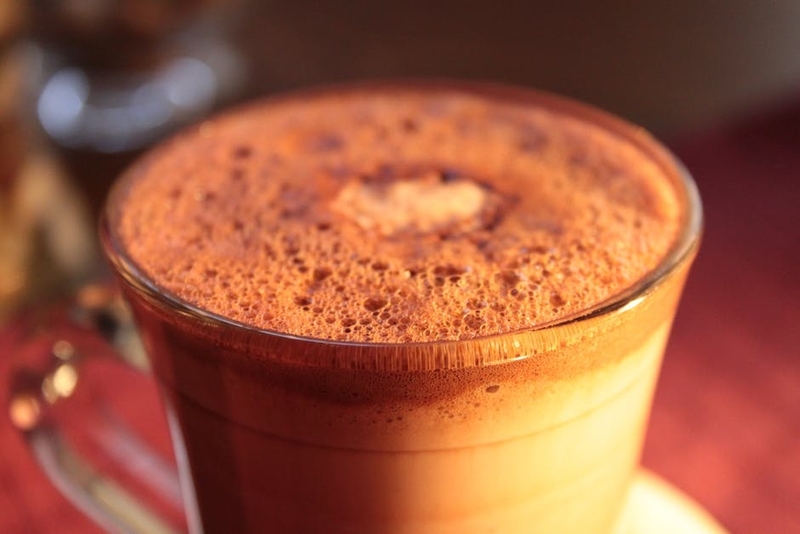 Discover this yummy citrus-flavoured hot chocolate. Admittedly, you are not going to drink it for the vitamin C but savouring it is likely to be the perfect way to spend the evening on your couch while the rain is pouring outside. Typically, Cointreau and Grand Marnier are the recommended alcohol. But do not hesitate to be creative! There are many creams, liquors and bitters available. Prepare your hot chocolate by warming and mixing together the milk and the cocoa powder or melted chocolate (go for a dark one!). You can also add some orange zest in the pot for a more intense taste. Once your chocolate is at the right temperature, add the orange liquor. Add some whipped cream and sprinkle the orange zest on top. Hot tip: use a small slice of candied orange or additional melted dark chocolate to top the whipped cream and create a stunning look. Bring back some of that exotic summer flavour in your dreary winter with this coconut-tasting hot chocolate! It will remind you of the great cocktails you drunk last summer. Again two possibilities exist, the first (and our favourite) consists of dark Rum and coconut milk. Another possibility is to use flavoured vodka, rum or liquor and milk. Depending on the option you chose, put the melted white chocolate in the pot with the milk or coconut milk and bring to a simmer. When you reach the desired temperature, add the liquor and the whipped cream. Add coconut sprinkles generously to garnish. Hot tip: to make your cocoa even more savoury, add some cardamom or vanilla extract. 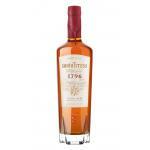 Santa Teresa 1796, a Dark Rum with origins in Venezuela which is aged with the solera method. This allows it to acquire a unique maturity and quality. Vodka Danzka, a vodka born in Copenhagen and the bottle is designed in the famous minimalist Nordic style. 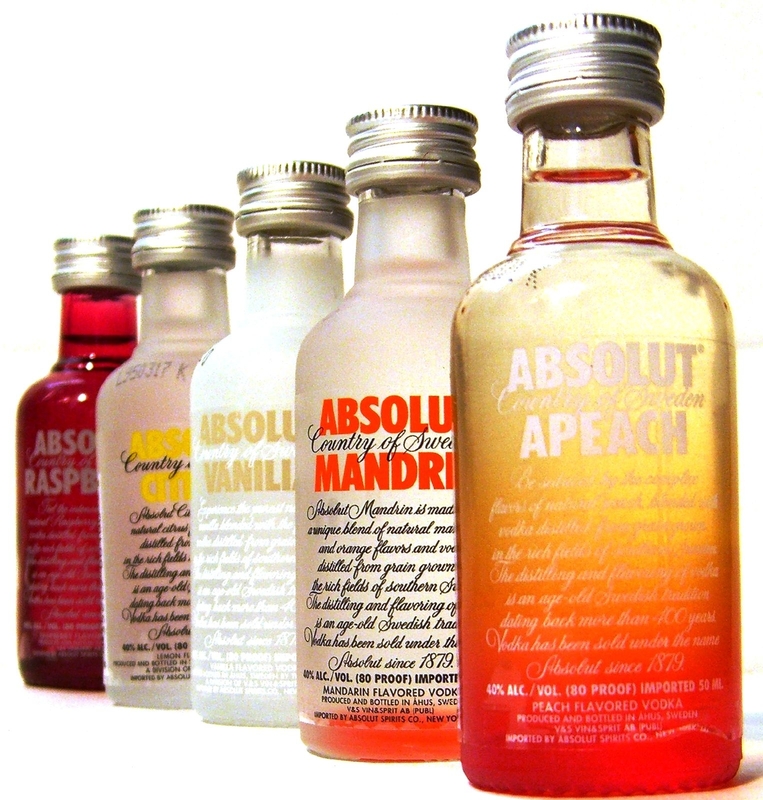 The most iconic example of a brand harnessing the power of design to promote its product is undeniably Absolut Vodka. Indeed, the arrival of the Absolut Company shifted the focus away from the product to its container and it has been one of the uncontested leaders thanks to its minimalist bottle shape, appealing colours and various limited editions. 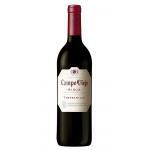 Nevertheless, the competition quickly adapted and over the years we have witnessed a growing care given to the bottle. In a market always more competitive, some companies did not hesitate to go all the way and to up the ante to new highs. 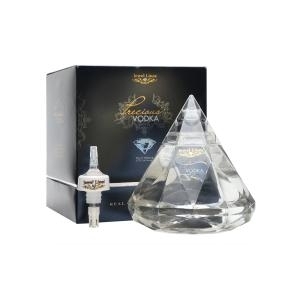 At Uvinum, we selected some of the most creative vodka bottle designs currently available on the market. Easily recognisable thanks to its diamond shape, Precious Vodka was designed by Precious Vodka with the clear ambition to offer a Premium Luxury Vodka to its consumers. Besides its crystalline aspect, it also contains an actual gem such as sapphire, emerald, ruby, topaz, peridot and amber. 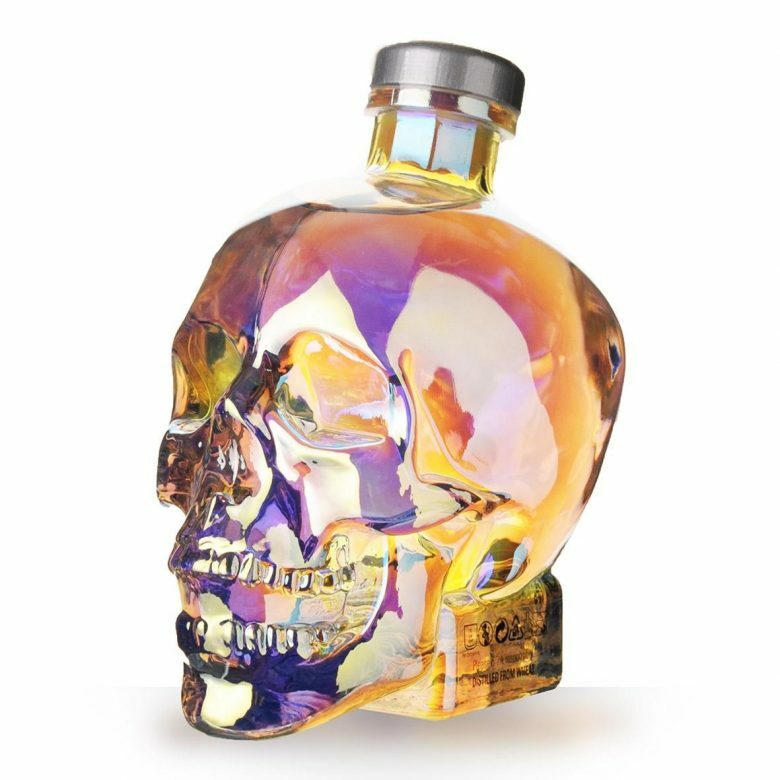 With multiple awards from prestigious international contests, Crystal Head Aurora Vodka can boast an excellent taste along with a unique design thanks to its bottle shaped like a skull. Moreover, you will appreciate the mesmerising colours reminding us of the northern lights. 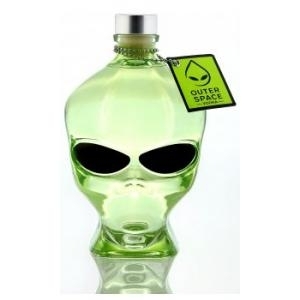 If we start talking about skull-shaped bottles, it becomes necessary to mention the Outerspace Vodka. This time, the source of inspiration is the extraterrestrials, an appropriate choice for a vodka filtered through meteorites. A great drink for a cosmic experience. 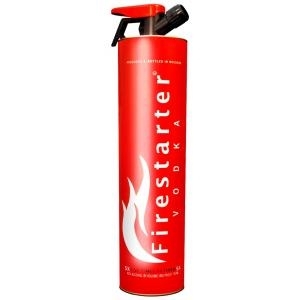 The Firestarter Vodka produced by an eponymous company and ironically in the shape of a fire extinguisher will deliver what its name promises: firing up your parties. This eye-catching product from Moldova has all the advantages: a great taste (5 distillations), an original design and an affordable price. This design is quite straightforward in what it is supposed to evoke, Russia, its army, and its vodka-making tradition. 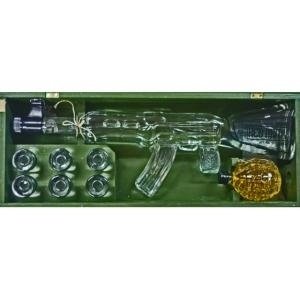 Vodka Red Army Kalashnikov is displayed in a box similar to the unfamous Ak 47 Kalashnikov and contains a gun-shaped vodka bottle, six shot glasses (no pun intended) and a grenade filled with herbal liquor. 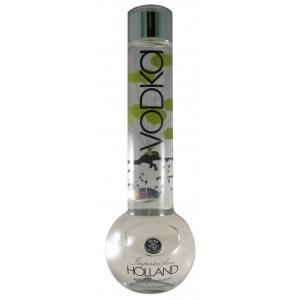 A possible tribute to the relaxed approach to drugs of the Dutch, the Vodka Bong Spirit Yosoh combines the vices with its bong-shaped bottle filled with premium Dutch vodka. Not the most subtle design but it definitely belongs to current representations of what the country can offer. We kept the most impressive bottle for the end. With its Imperial Collection, the Ladoga company really created an exclusive product whose outrageous price can only be explained by the incredible design. 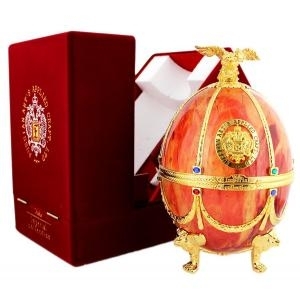 This vodka honours Russia’s two most outstanding export successes: traditional vodka and the Fabergé eggs. 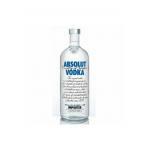 Absolut Vodka 1L is distilled with natural resources such as pure Swedish spring water and winter wheat. Discover the Swedish vodka-making tradition. 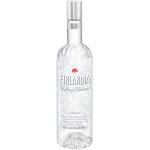 Vodka Finlandia 1L whose distillation requires six-row barley growing under the midnight sun and the icy spring waters. Uncover the Finnish soul with this unique vodka. 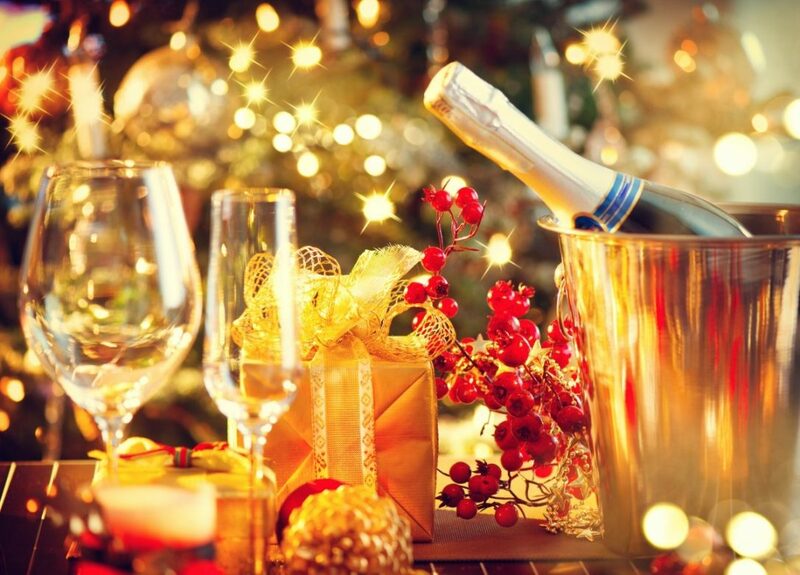 Each year, the holiday season witnesses the come back of sparkling wines in our lives as we celebrate Christmas and New Year’s Eve with friends and family. 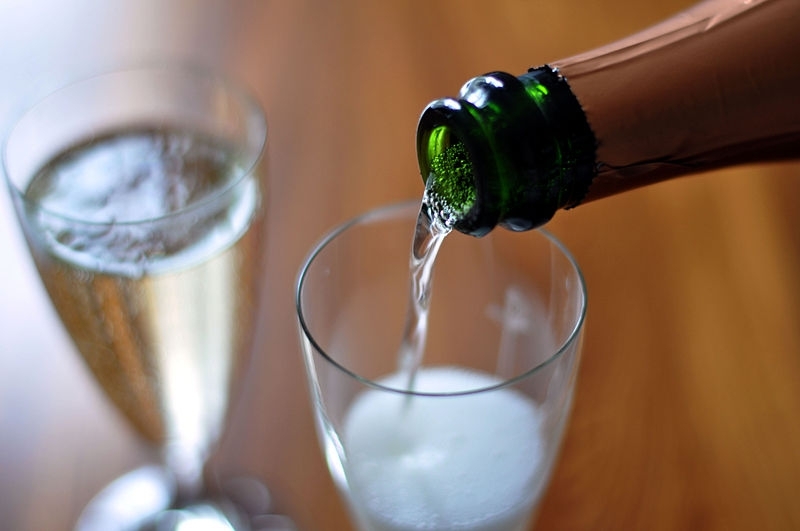 Along with Champagne and Prosecco, Cava is an all time favourite and its popularity never decreases. Yet, after numerous celebrations, one might need some novelty as we toast with our loved ones. This is why we discovered these interesting ideas to pimp up your Cava and add some dash to your usual drink. The lightest offspring of the Bloody Mary Family is an interesting cocktail to add some elegance and refinement to your Friday usual. What’s more, the bubbles transform an old-fashioned cocktail into a modern drink! Squeeze the lemon and lime slices in the shaker, add the tomato juice and the paprika, celery salt and pepper, as well as the Tabasco and Worcester sauce in the shake the mix. Pour in a glass and add the Cava which you will gently mix with the preparation to preserve the sparkling properties. Over the last decade, pumpkin has been invading your autumnal coffee with regularity. Now, you can extend the trend to the heart of winter thanks to this exciting recipe! Cut the apples, oranges, pears and place them in a punch bowl. After, add the cranberries, the pumpkin purée and all the spices along with the cider and moonshine. Pour the Cava and let sit overnight for the ingredients to release their aromas. This easy cocktail will revolutionise your boring New Year’s appetiser into an innovative drink. Sometimes, simplicity is the answer and the association pomegranate juice really does create a novel beverage. Mix the cold Cava with the pomegranate juice. To strengthen the sweetness, do not hesitate to add a sugar cube. Finally, to give your drink a more sophisticated look, simply add some frozen pomegranate Arils which will keep the liquid cold and release a more intense aroma as it melts. 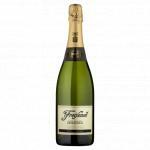 Freixenet Excelencia Brut is a sparkling wine made by Freixenet from the region of Cava. 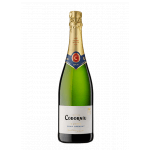 Codorniu Cuvée Gran Cremant Brut is a sparkling wine made by Codorníu from the region of Cava based on viura, xarel·lo and macabeo. What says party better than a mojito and what fruit evokes Christmas better than cranberries? None, that is why Cranberry Mojitos were created for December! Add the cranberries, sugar and water to a pot and let it simmer for 10 minutes (but do not bring to a boil). Once cold, you can start the making the mojitos: put 10 mint leaves, and one tbsp of lime juice, and press the leaves to release the mint aromas. Pour 2 oz of rum and 2 oz of the cranberry preparation in the glass. Finally, fill up the glass with the Seltzer water, ice cubes and some fresh cranberries. Though Sangria is traditionally associated with Summertime, there is no reason to deprive yourself of a fun sangria evening thanks to this spice-rich recipe! Peel and slice the mandarines and the apples and cut the cranberries in half. Pour the wine, cider and sliced fruits in a large bowl stir to mix the whole and let infuse in a cold place. Serve with ice cubes and a branch of rosemary. The perfect rum-based fruity cocktail to forget the harshness of winter and celebrate the holiday season with friends. To make the citrus sugar, put all the zests with the sugar, the ginger and the cinnamon, press it to release the aromas and put it to rest. Next, place the citrus sugar in the punch bowl and add the add the juices and nectars while stirring. Pour the alcohol and the sparkling water. Finally, incorporate the freshly sliced fruits into the mix. The ideal drink if you want to stay awake, savour an original cocktail and enjoy the holiday spirit. Moreover, this drink can be served warm or cold! Mix and stir the coffee and liqueurs in a glass. Add whipped cream and garnish with grated chocolate. 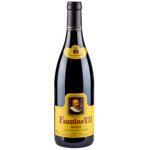 Faustino VII is a blend based on tempranillo grapes becoming more and more popular. Not only in Spain but all over the world. 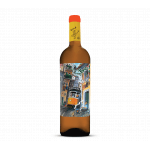 Porta 6 Branco 2016 is an entertaining composition of Portuguese and French grape varieties such as sauvignon blanc, arinto and fernao pires.